KAT Company produces annually in the White Mountains of New Hampshire. 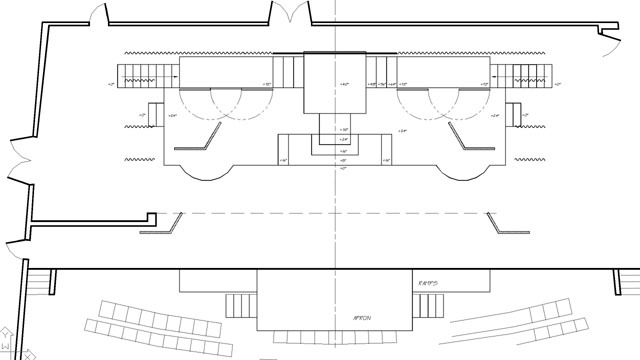 The venue is a proscenium house with a wide stage, low proscenium, and no movable flies. Beauty and the Beast is a show which wants to have a large variety of full-realized fanciful settings. 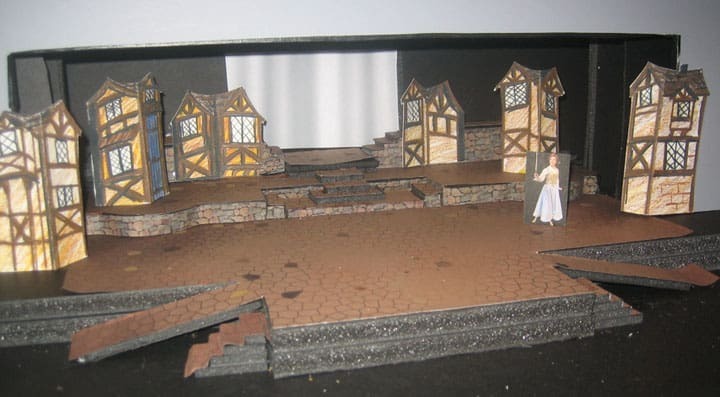 To achieve this, the set consisted of three base-settings: The village, the forest, and the castle. These were changed easily using story-book flats. By simply turning the page on each unit, the next setting was displayed on stage. Centered among these units upstage was a set of white drapes that received front-projections. 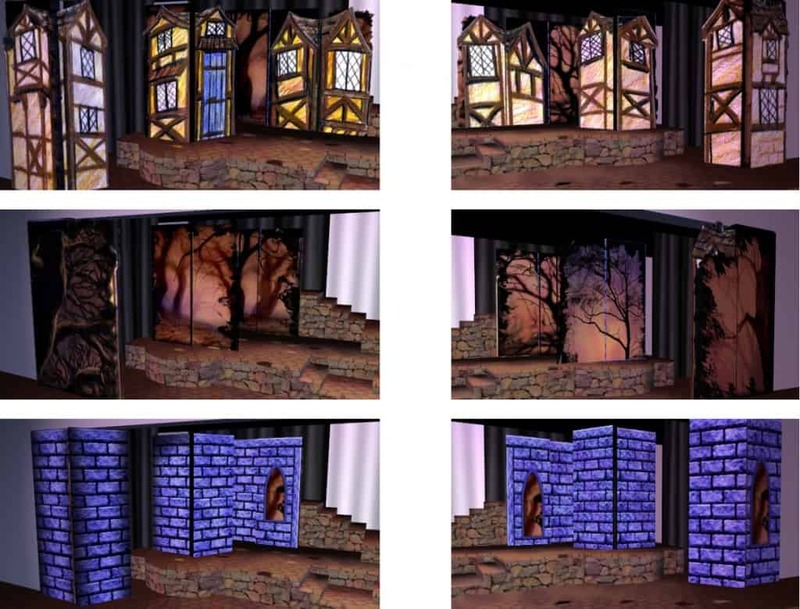 The specific setting within the village or the castle or the forest was created by projecting media onto these curtains. For example, Belle entered the library of the castle through a large projected gothic wooden door, which then revealed thousands of books panning by her. She stopped at one shelf, reached into the curtain, and pulled out a single book to discuss from the image of the shelf (a crew member handed her a book when she reached into the drapes). 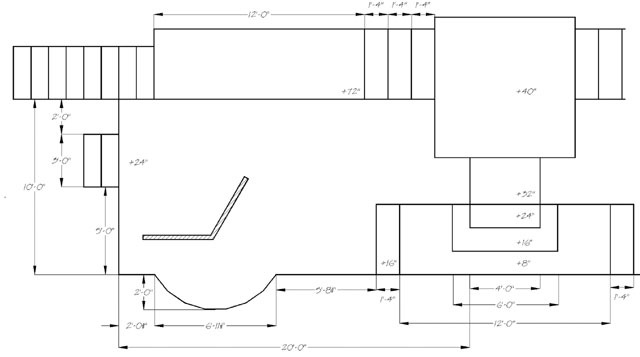 A larger, grander version of this design followed later in a bigger venue. 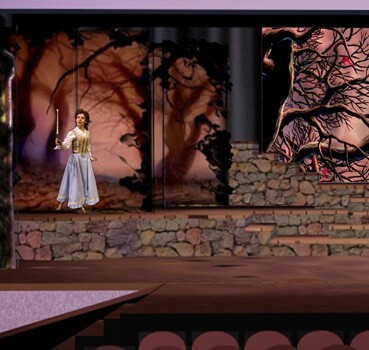 I love this version of the design best, though, as it solves many scenic design problems in an elegant way.